It has been more than a year since super typhoon Yolanda made a landfall in the country but the help from different people around the world continues to pour. 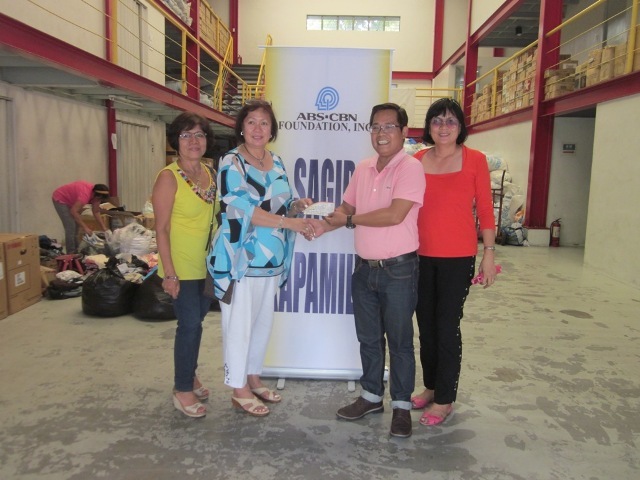 Members of Filipino-American Association of Pensacola, Florida, headed by its President Divina Herrera, recently visited the Sagip Kapamilya Warehouse to personally turn-over their donation. The association has given a check worth $2,400.00 which will be used for the Yolanda rehabilitation projects of Sagip Kapamilya.